Eternal Orthodox Church calendar for the 11.06 year 2017. 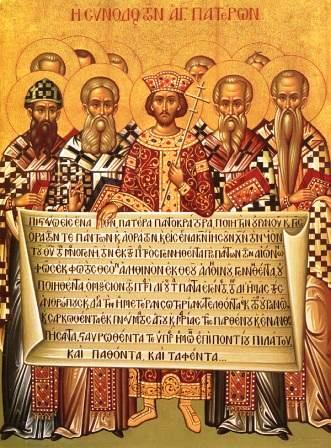 The Commemoration and eulogy of the holy fathers of the First Ecumenical Council, which was held in Nicaea in 325 in the reign of Constantine the Great - held during the week before Pentecost, or the seventh week after Easter. 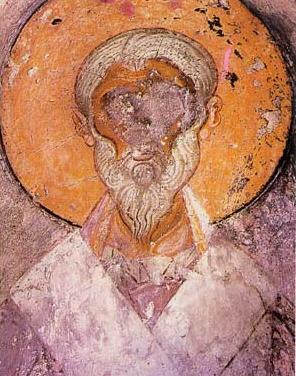 It was summoned to remove the confusion which Arius, an Alexandrian priest, had created by his false teaching. He had been spreading the teaching that Christ was created from God in time, and that He is not the pre-eternal Son of God, equal in being with God the Father. Three hundred and eighteen holy fathers took part in this Council. It condemned the Arian teaching, and anathematised Arius when he would not repent. This Council also definitively confirmed the Symbol of Faith (the Creed) which was later amplified at the Second Ecumenical Council. Many bishops were present at the First Ecumenical Council, among whom the following stood out: St Nicolas of Myra in Lycia, St Spiridon, St Athanasius, St Acillius, St Paphnutius, St James of Nisibis, Macarius of Jerusalem, Alexander of Alexandria, Eustathius of Antioch, Eusebius of Caesarea, Mitrophanes of Constantinople, John of Persia, Aristarchus of Armenia and many others from the East. And from the West: Hosius of Cordova, Theophilus the Goth, Cecilianus of Carthage, and others. The most important work of this Council was the confirmation of the Symbol of Faith. The Council also confirmed the time of the celebration of Easter, and prescribed twenty Canons. One day during the reign of the Emperor Maximian, many Christians were standing bound before the Praetor in Palestinian Caesarea. 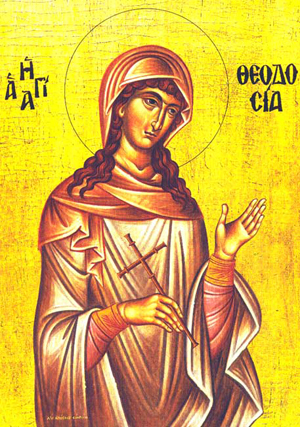 The pious virgin Theodosia came to comfort them and encourage them in their death by martyrdom. The soldiers heard her words and brought her also before the judge. The enraged judge ordered that a stone be tied round her neck and that she be cast into the deep. But angels carried her up onto the shore alive. When she appeared before the judge again, he gave orders to have her beheaded. The following night, Theodosia appeared to her parents in the brightest heavenly light, surrounded by many other virgins, and said: "Do you see how great is the glory and grace of my Christ, of which you wished to deprive me?" She spoke thus to her parents because they had turned back from confessing Christ and from martyrdom. She suffered with honour and was glorified in the year 308. She was born after her mother"s prayers to the holy martyr Anastasia, who appeared to her and told her that she would give birth to a child. Her parents dedicated her to God and gave her very early to a women"s monastery. At her parents" death, she received a vast estate. 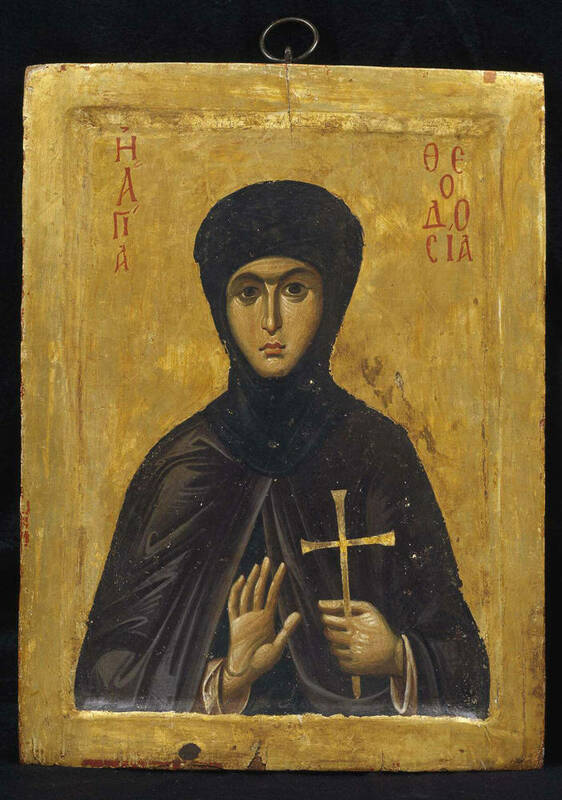 She ordered three icons from a goldsmith: the Saviour, the Mother of God and St Anastasia, and gave the rest away to the poor. She suffered in the time of the Emperor Leo the Isaurian, the iconoclast, and received a twofold crown: of virginity and martyrdom, in the year 730. He was the first to take up the struggle against Arius, and entered into rest in the year 328. 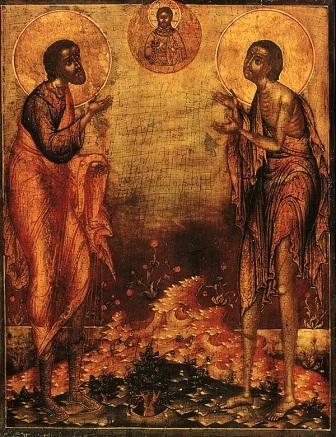 Blessed John, Fool-for-Christ, Ustiug Wonderworker, was born in the village of Pukhovo, near Old Ustiug, of pious parents Sava and Maria. From his youth he distinguished himself by a strict life of fasting. On Wednesdays and Fridays he ate nothing, and on other days he ate only bread and water. His parents moved to the city of Orlets along the River Iug, forty versts from Ustiug. Left widowed, the saint's mother took monastic tonsure at the Orletsk Trinity monastery. The young John started by keeping silence, and then he embraced the struggle of foolishness for the sake of Christ. He suffered for the Faith at the hands of the Turks in Smyrna in 1802. He suffered for the Faith at the hands of the Turks in Constantinople in 1465. Because of the sins of men, God sent great calamity on the capitol city of the Christian word on may 29th 1453. Sultan Mohammed II sacked Constantinople and murdered the Emperor Constantine XI.